Whether you need containers for your home garden or a new line of gardening products, SKS has a wide selection of jars, pails, bottles and tins to suit your needs! 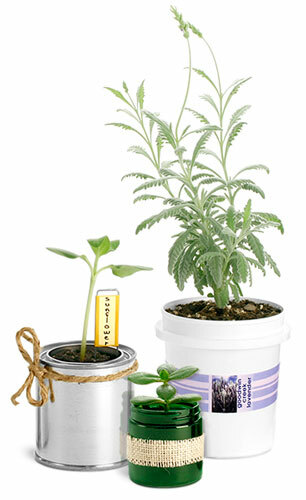 Click on the categories below to view packaging ideas for plants, nutrients, seeds and accessories. * Please note: Containers sold empty. As always you should test your product with the packaging to ensure compatibility. We do not imply these products are fit for gardening products or for any particular use. 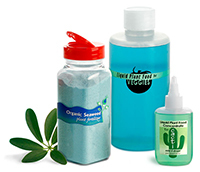 SKS carries a variety of bottles and pails that could be used to package plant nutrients, fertilizer and soil. These containers may be ideal for both commercial and homemade plant food! We also supply several tools and accessories to complete your gardening needs. 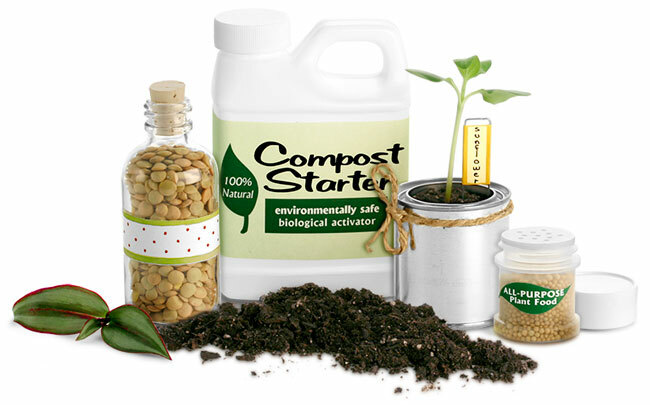 Find containers for citronella candles, insect repellant, composting and more! Our unique seed packaging ideas go beyond paper packets! Choose from an array of jars, tins, bottles and vials to conveniently store or display your seeds. Planting herbs, vegetables and flowers in containers is a great way to cultivate a garden when space is limited. Browse our selection of plastic, glass and metal containers that could be perfect for container gardening!